March Madness is a season unto its own. Before it heats up, let’s take a look at some of the coaches behind this season’s men’s college basketball teams to watch. Longtime Duke head coach Mike Krzyzewski, often referred to as Coach K, will go down in history as one of the game’s greats. 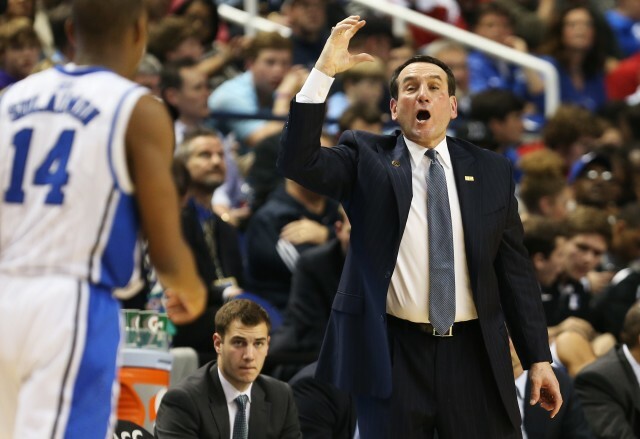 After playing for Bob Knight at the United States Military Academy, Krzyzewski went on to coach, eventually breaking his former coach’s record to become the winningest men’s basketball coach in NCAA Division I history. At Duke, where he has coached since 1980, Krzyzewski has led the team to four NCAA championships, thirteen ACC championships, and eleven Final Fours. Krzyzewski has also coached the U.S. men’s basketball team, leading the country to two gold medals, at the 2008 and 2012 Summer Olympics. 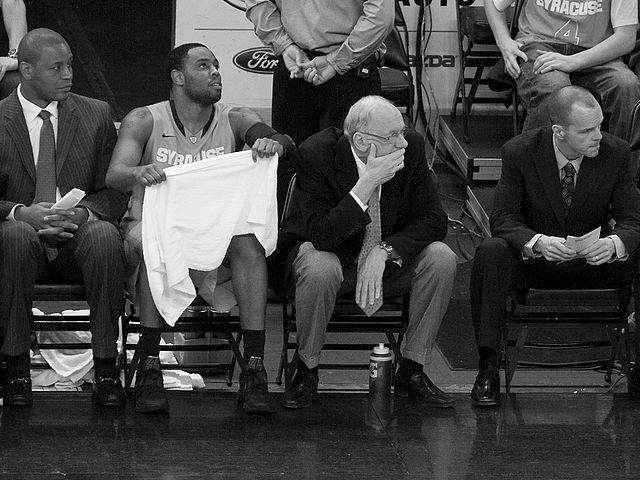 Much like Krzyzewski, Boeheim is a fixture in men’s college basketball. He’s been the head coach at Syracuse since 1976; has taken the Orange to 28 NCAA tournaments; and is second (after Coach K) on the win list of men’s NCAA Division I coaches. Astonishingly, Boeheim is also the only head coach in NCAA history to lead a school to four Final Four appearances in four different decades. Decades of coaching haven’t dampened his zeal for the game, either: Boeheim was recently ejected with 10.4 seconds left to play against Duke after sprinting on the court to argue with refs. Marshall, who was named head coach at Wichita State in 2007, is largely credited with turning the program around. Under his tenure, Wichita State has seen the richest four-year stretch in the school’s history, including last year’s memorable Final Four appearance that saw the team defeat Pittsburgh, Gonzaga, and Ohio State before losing to eventual national champion Louisville. Only five people in men’s Division I college basketball history have won three national titles or more, something Billy Donovan and the top-ranked Gators are trying to change this season. 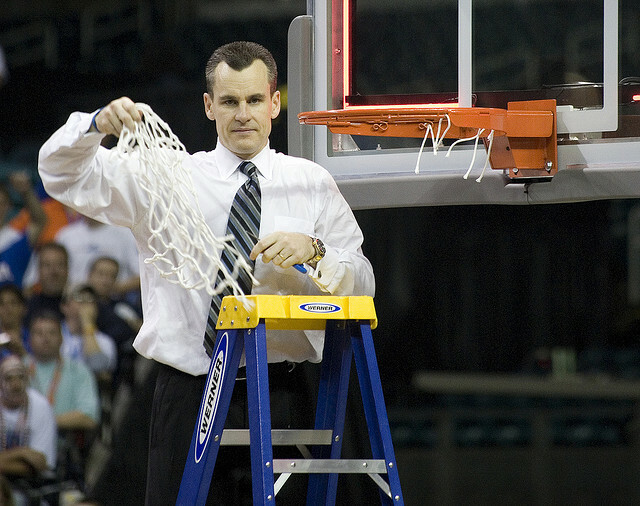 Donovan, who has been head coach at Florida since 1996, is the winningest coach in the history of the Florida basketball program. He has led Florida to the national championship title in 2006 and 2007, and has coached the Gators to more NCAA tournament appearances and more SEC tournament championships than every other coach in program history combined. After the retirement of legendary coach Lute Olson, Miller took over the helm full-time at Arizona and has cemented the program’s national relevance. Team revenue has surged to approximately $25 million, and the team boasts a 27-2 record this season. Since starting at Arizona in 2009, Miller is 123-45 with the Wildcats. 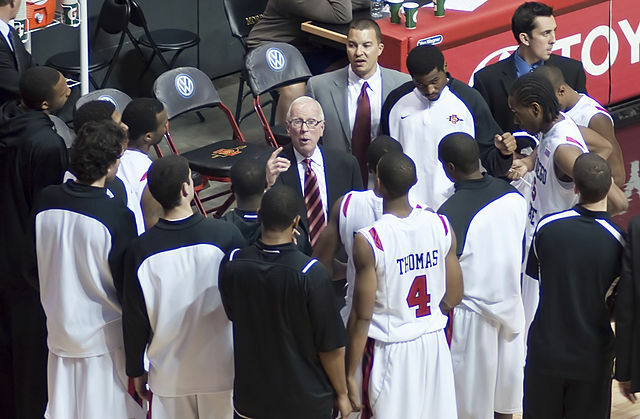 Before Steve Fisher arrived at San Diego State in 1999, the Aztecs hadn’t earned a trip to the NCAA tournament since 1985. Fast-forward to the present: The Aztecs are top-ten ranked and have won twenty or more games for nine consecutive seasons, including this one. Under Fisher, who is 68, season tickets have been sold out for the last two seasons, and San Diego State now has the best college basketball program in California.